I really don't know why I waited so long to visit Scotland. It is a long journey from south Wales to Scotland but if I can get a 24 hour flight to New Zealand then there is no excuse for not visiting a part of the UK that has so much to offer. 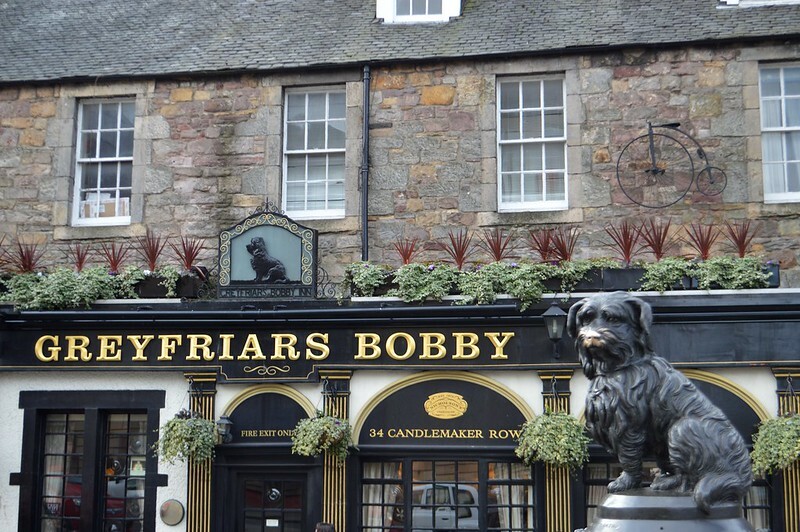 It is filled with castles, beautiful lochs and mountains, whiskey and a rugged landscape. Martyn and I had wonderful time in Scotland and we are already planning our next visit for our honeymoon. My trip with Martyn included stops in Edinburgh, Glasgow, Oban, Isle of Mull & Fort William and we travelled over 1000 miles throughout our holiday. 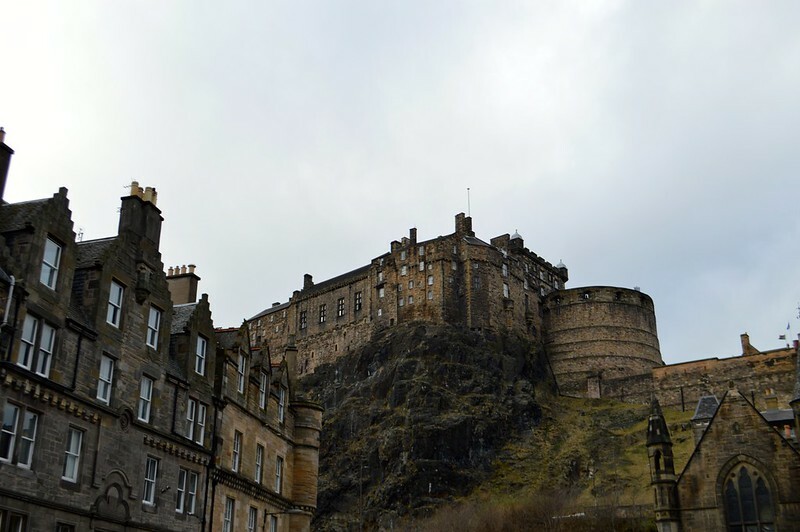 The first port of call was Edinburgh and I've shared some of my favourite photos below (I took over 500+ throughout my trip) I'm pleased with how much we managed to cram into just 24 hours without feeling rushed. We only had 24 hours in Edinburgh as we wanted to cram as much into our Scotland tour as we possibly could. 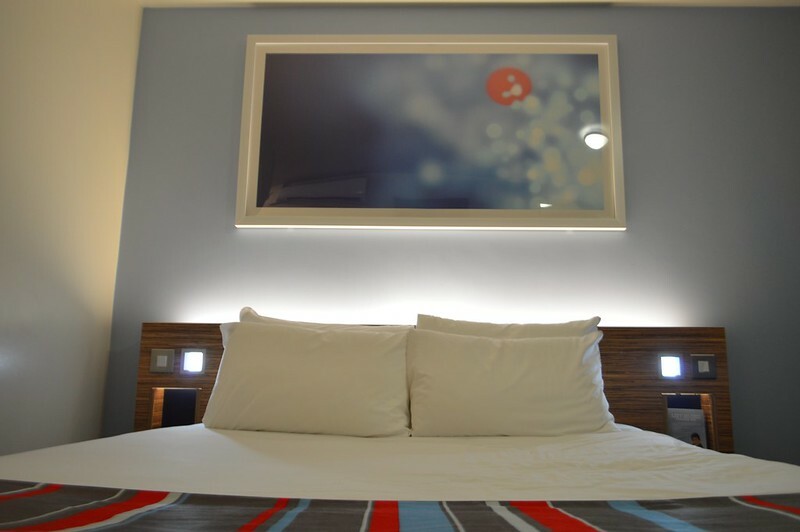 After a mammoth 7-hour train journey from Newport to Edinburgh with CrossCountry we needed a hotel that was conveniently located so we opted for the Premiere Inn City Centre Royal Mile. 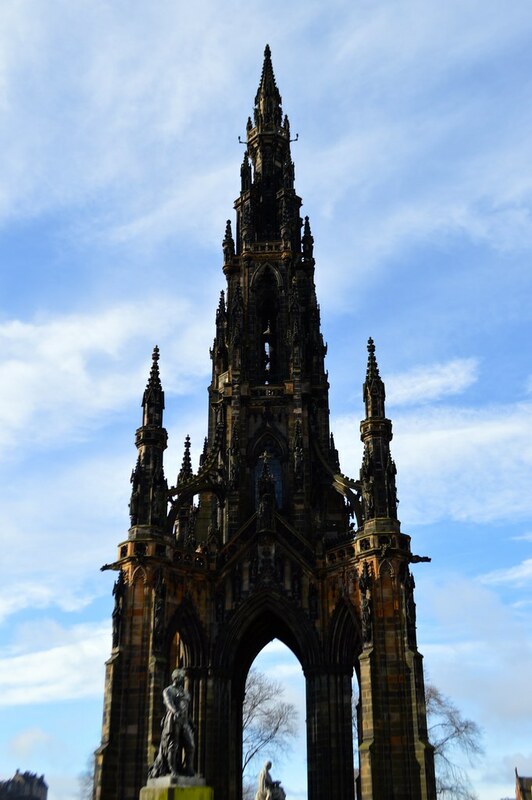 It was only a few minutes walk from Waverley railway station and all the main sights, it was perfect for us. 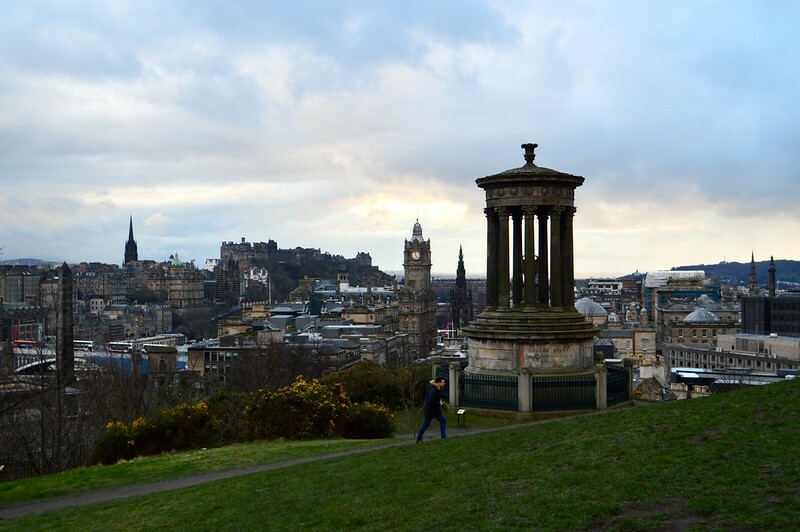 We dropped off our cases and headed straight up Calton Hill to take in the sights of the city. It was also easy for us to leave our bags there once we had checked out, do some sightseeing and pick them up again before getting our train to the next destination on our trip - Glasgow. The bed was comfy and the breakfast was tasty, not a cool apartment but it certainly did the job for one night. 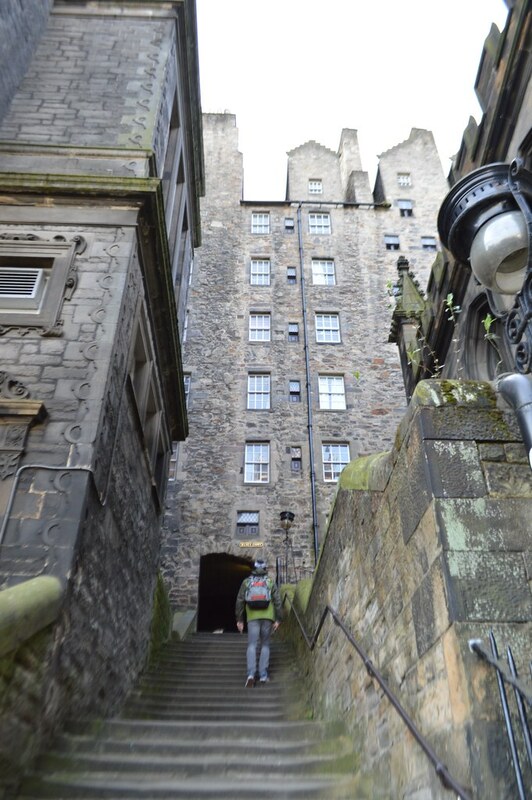 see major landmarks such as Arthur’s Seat, Holyrood Palace and the Parliament, Leith and the Firth of Forth, Princes Street and the Royal Mile leading up towards the castle. 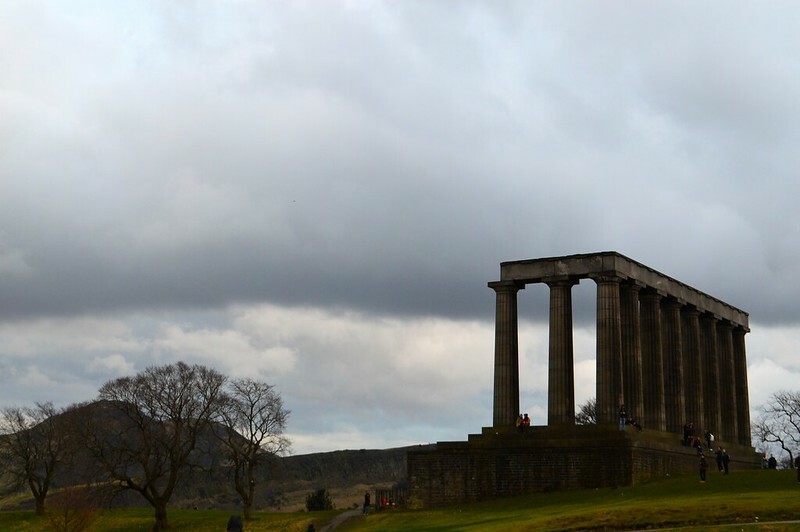 Calton Hill is also home to lots of historic monuments including the National Monuments which was inspired by the Parthenon in Athens, the Nelson monument and the Dugald Stewart Monument. 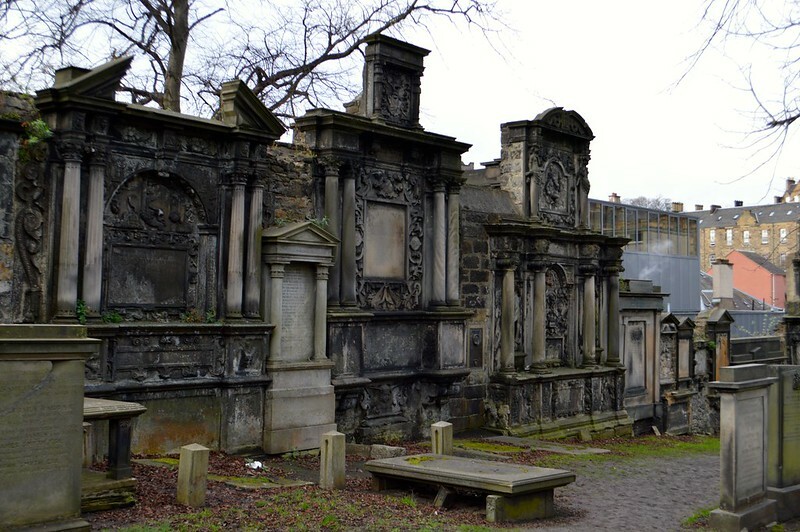 Ghost tour - Edinburgh is known as one of the most haunted cities in Europe with a history of witchcraft, grave digging and the plague. 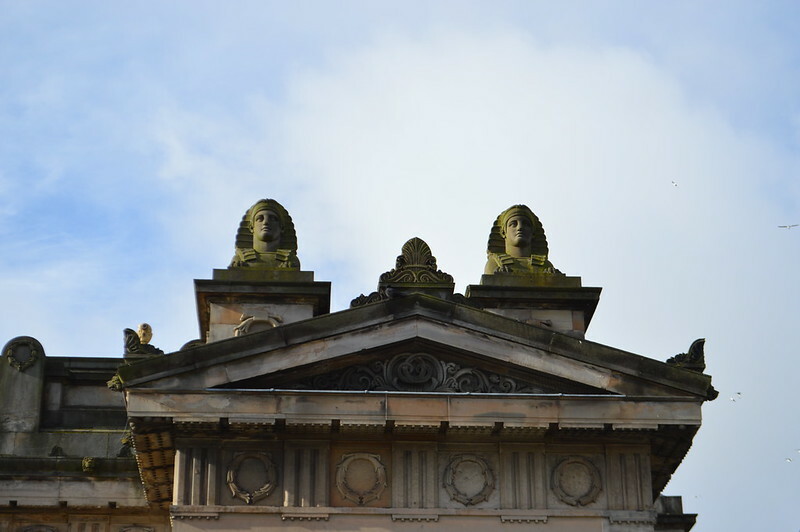 There are lots of free tours in Edinburgh where you tip your guide the end and this one was the perfect way to get a feel for the city and its ghostly tales and rich but gruesome history. Who wouldn't want to spend their Saturday night lurking around a graveyard with a group of strangers? 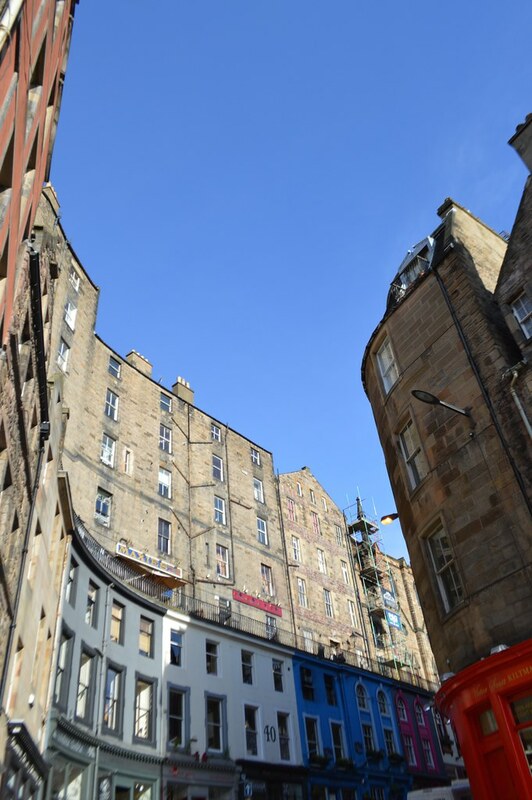 Victoria Street - This narrow curved street with historic high-rise buildings has an air of Diagon Alley about it. There are lots of shops with pretty, colourful fronts, cafes and restaurants that wind their way down from the Royal Mile to Grassmarket. This was a great place to get a coffee and browse some independent book shops and boutiques. 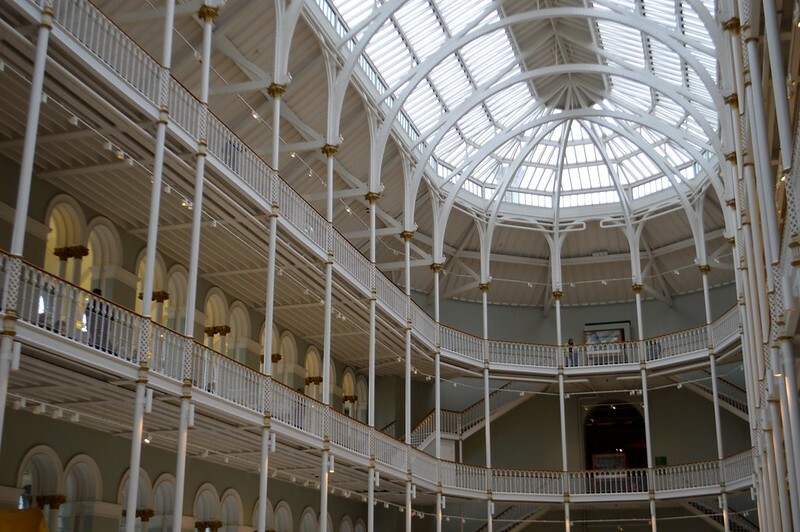 The National Museum of Scotland - This really was an impressive building, the original Victorian museum is Grade 1 listed with a breathtaking central hall. Ten new galleries opened in 2016 to celebrate its 150th anniversary year and the varied exhibits suited Martyn and me perfectly. Martyn enjoyed the interactive exhibits focussed on science, communication, and transport (for a couple of train lovers it was exciting to see the two oldest railway locomotives in the world) and I loved the design and Scottish history galleries. 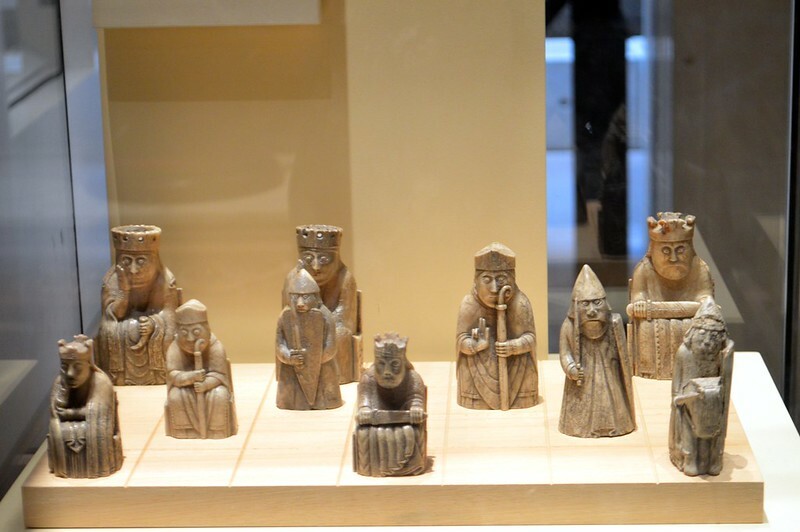 VisitScotland has shared some highlights of the collection here but my favourite items were the Lewis Chessmen and panels designed by Charles Rennie Mackintosh. 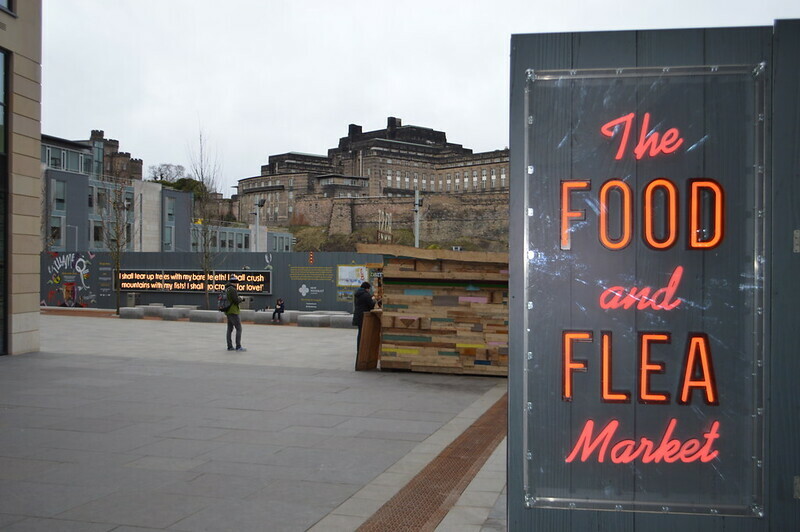 The Food + Flea Market - Food + Flea is a 7 day a week street food market in the heart of Edinburgh, just off the Royal Mile. The market hosts a rotating roster of street food stalls and there is also a flea market on Saturdays and Sundays. I had a delicious honey chipotle buttermilk-fried chicken burger from the Buffalo Truck and it was a great place to escape the crowds of tourists and chain restaurants on the Royal Mile. 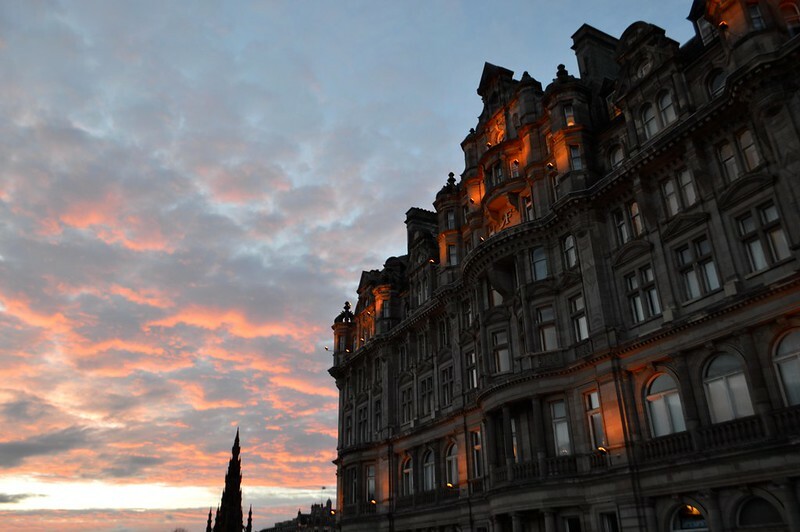 I would love to return to Edinburgh as there really is too much to explore in just one day. 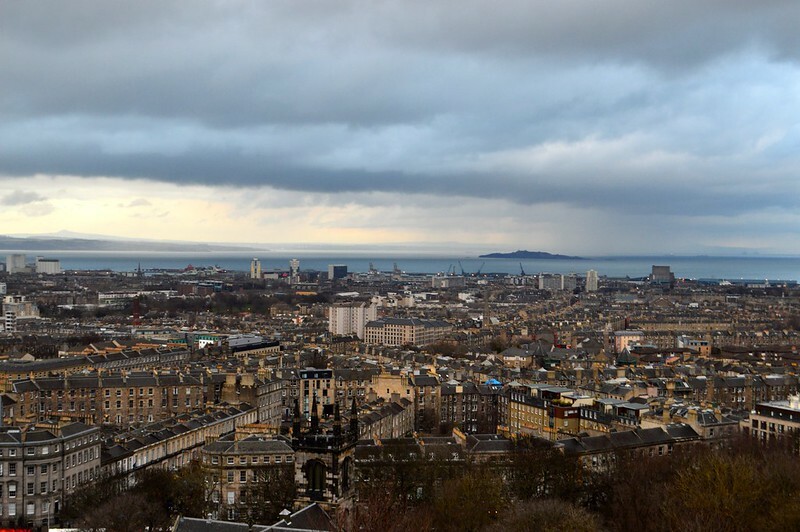 I was able to get a good overview and feel for the city but if I return I would love to visit the castle, climb Arthur's seat, experience the local nightlife and stroll around the tranquil Dean Village on the Waters of Leith. 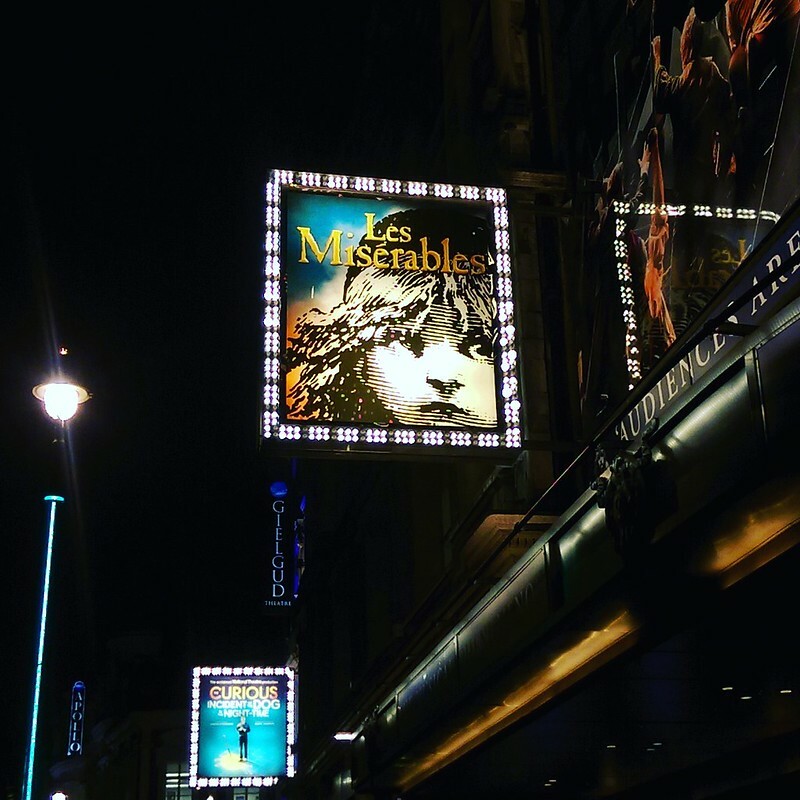 I took my my mum to see Les Miserables in London last year but it really was a whistle-stop tour. We got the train to London, had a quick lunch, saw the matinee performance and had to travel back home again straight after the show. Whilst we had a wonderful time it was a shame not to be able to see the sights of London and take things are more of a leisurely pace. I saw that there was a theatre tickets sale in January and took the opportunity to get the best seats in the house for a bargain price for two of my favourite musicals, Phantom of the Opera and Les Miserables (again, new cast this time) and opted for an overnight stay so we would have more time to explore. 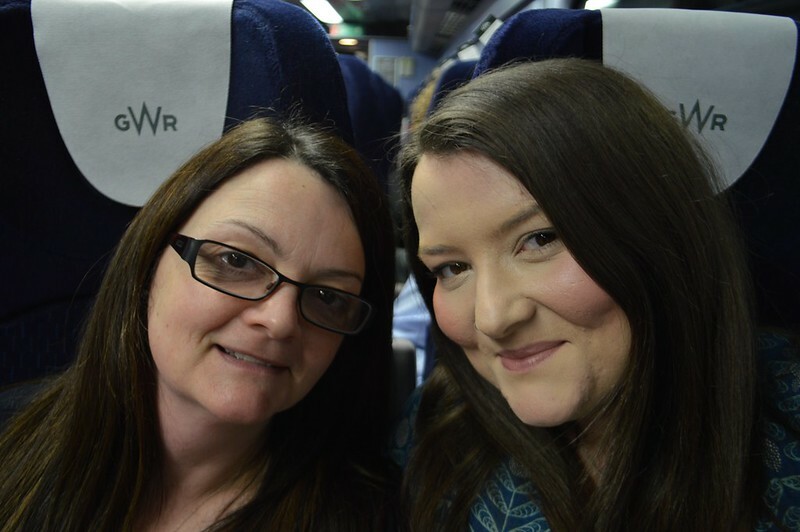 I was also able to take advantage of a GWR sale and get my mum Advance train tickets for just £15 from Newport to London, bargain. 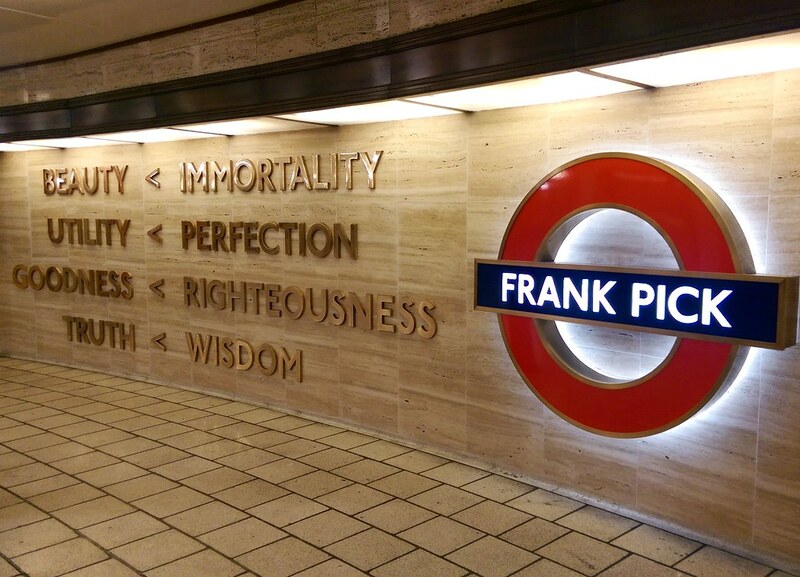 If you are a regular reader you will know I love everything rail related so I loved stumbling upon this tribute to the talented Frank pick at Piccadilly Circus station on the way to the theatre. Frank Pick was the man who commissioned some of the most recognisable icons of London Underground’s identity; the Johnston typeface, Charles Holden stations, the roundel and Harry Beck’s Tube map. I'm heading back to London in June to go on a tour of the London Transport Museum depot in Acton. I loved my first trip to the main museum site in Covent Garden a few years ago so I can't wait to go back and discover more in the extensive archives. Top tip: If you’re travelling into London by train you can get 2 for 1 entry to lots of London attractions, like the London Eye, Tower of London and the London Dungeon, as well as discounts on tours. You need to print out a voucher to accompany your train ticket, I found them here. 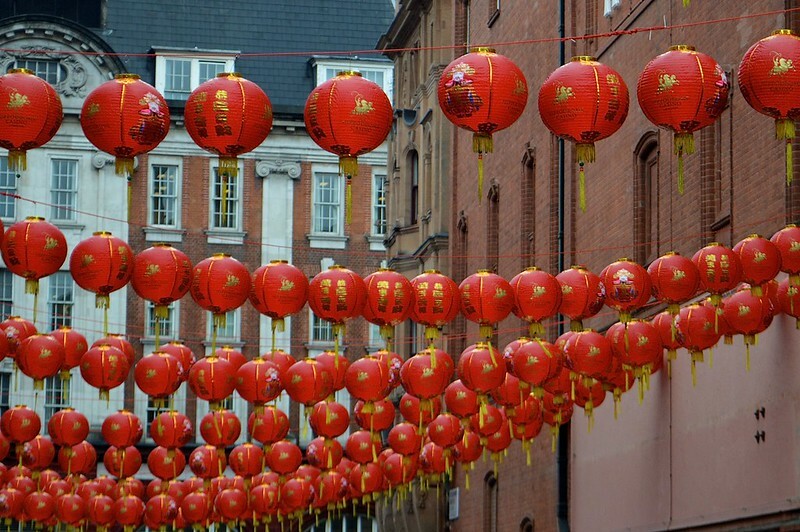 My mum and I had a quick pit stop in Chinatown for lunch before taking in two long and highly emotional shows. I know some musical fans aren't really keen on Andrew Lloyd Webber and Cameron Mackintosh but I loved the big, iconic tunes and the impressive staging. There really must be something that keeps people going back to these shows because they still sell out 30 years after they originally opened on the West End. I don't care if I'm basic, I would go and see both of the shows again. I also love A Star is Born, Cabaret and An American in Paris so please don't judge me too harshly. My mum and I both adored our first Phantom of the Opera performance. Even though the show has been running for 30 years the staging, costumes and songs are still impressive and the high production value is a big contrast to some jukebox musicals that are running at the moment. I think it is the only show to have a 27 piece orchestra on the West End. The whole affair was completely over the top and camp and we lapped up every second of it. Christine is one of the most iconic roles in musical theatre and the talented Celinde Schoenmaker, (previously Fantine in Les Miserables) performed all of the operatic numbers effortlessly. 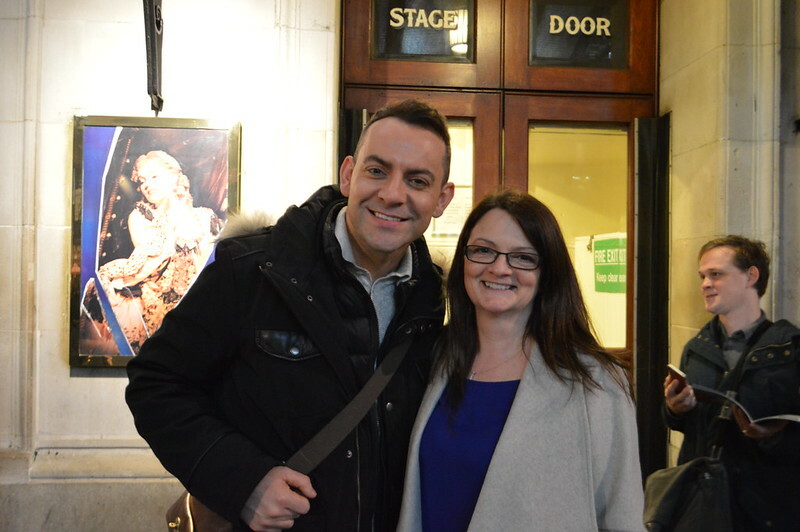 Ben Forster (stage for lurking photo below) seemed to be really confident in this role and has just announced that he will be extending his time as the Phantom for a few more months. I highly recommend going to see Phantom with its current cast, you won't be disappointed. After a day of travelling, exploring Soho, Trafalgar Square and Chinatown we headed back to the hotel for a good night sleep singing Masquerade from Phantom of the Opera on the tube. The Travelodge I stayed in was located on Waterloo Road with Waterloo Station just a short walk away. My room had a king size bed with an incredibly comfortable Sleepeezee mattress and plump pillows. The room had everything I needed for an overnight stay and was much easier to reach after a night at the theatre than my normal West Kensington hotel choice. Check out wasn't until 12pm so I had plenty of time to get ready and enjoy a huge veggie breakfast and coffee in the dining room downstairs before heading out to cram in some more sightseeing with my mum. 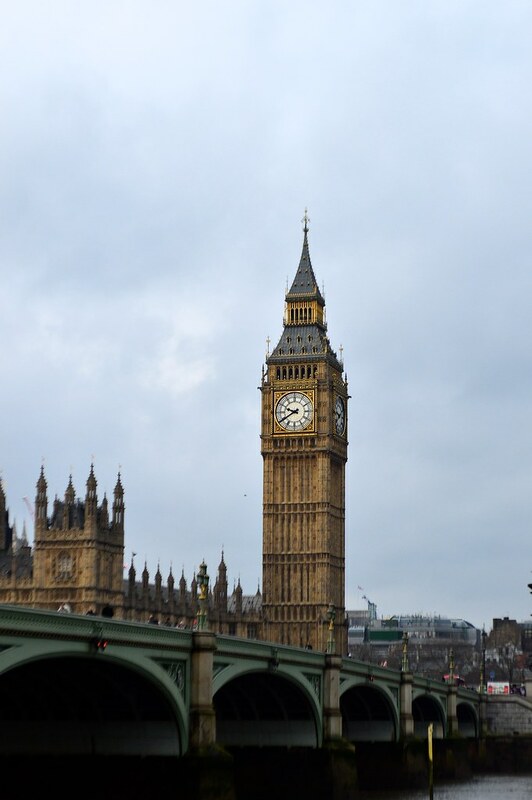 The hotel location is perfect for a stroll along the Southbank where will find the National Theatre, the London Eye, and impressive views of the Houses of Parliament and Big Ben. 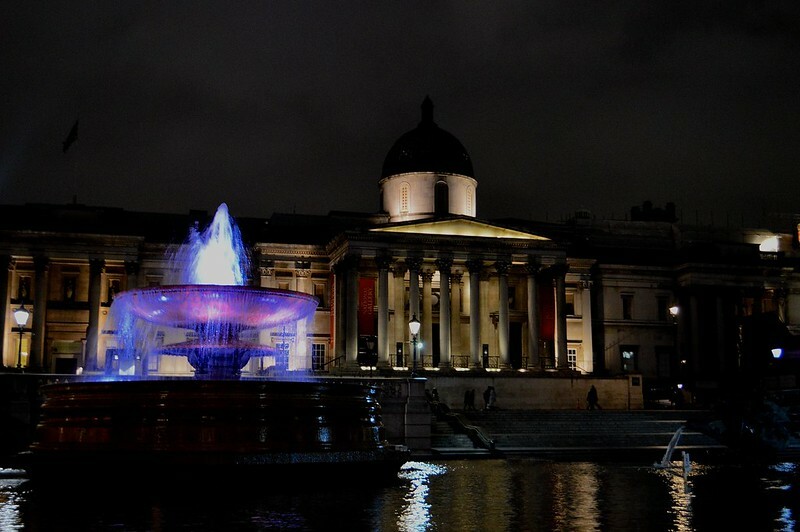 A short walk across the river leads you to Trafalgar Square, Soho and Covent Garden. 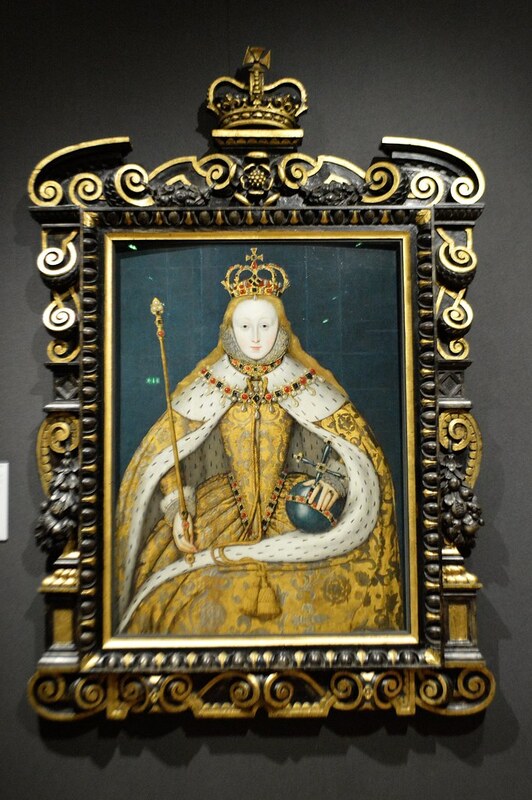 After stroll along the river Thames, sightseeing at Westminster and hitting the shops in Covent Garden my mum and I decided to pay our first visit to the National Portrait Gallery. 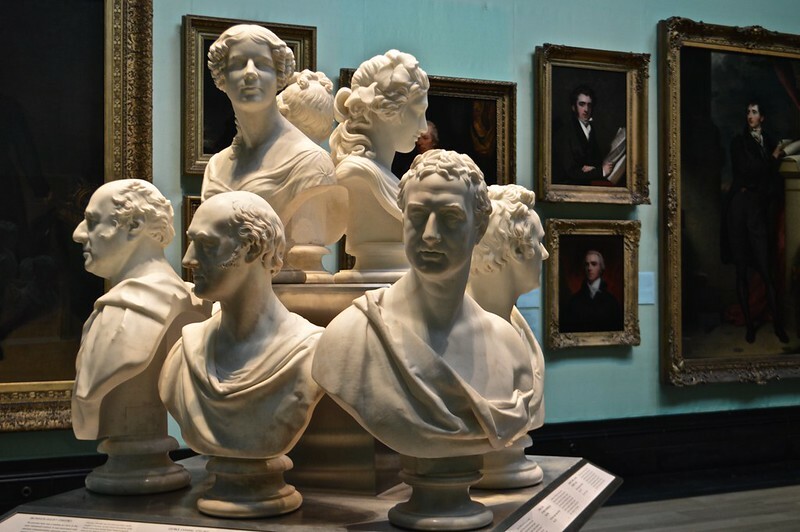 We came face-to-face with the people who have shaped British history, from kings and queens to musicians and actors in the form of paintings, sculpture and photography. As former history student I was excited by everything I saw, dashing around the museum proclaiming 'John Keats!' 'Dylan Thomas!' and 'Anne Boleyn!' like an art crazed lunatic. The collection is truly impressive and free to visit. I had such a wonderful time on my midweek theatre break and it was novel to spend some time away with my mum as this is something I really don't do often enough. We were really sad to leave and only really got the scratch the surface of London. We are already planning our next trip, I want to see Dreamgirls and my mum wants to see Wicked or the Lion King. My next theatre trip is to see Don Juan Wyndham's Theatre starring David Tennant which I'm very excited to see after reading some comments about the play from Tennant in The Times this weekend. If you're already thinking about what to get for your mum this Mother's Day I think I think a theatre trip would be ideal if you really want to push the boat out. *I was provided with a complimentary room and breakfast at Trvaelodge but all words and thoughts are my own as always.